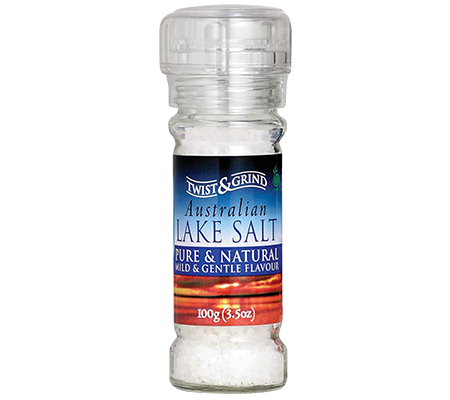 Lake Crystal natural lake salt is a unique food product, naturally harvested from a 5-million-year-old salt lake situated in the remote regions of Western Australia. The salt is skimmed from the surface of the lake, filtered and kiln dried. 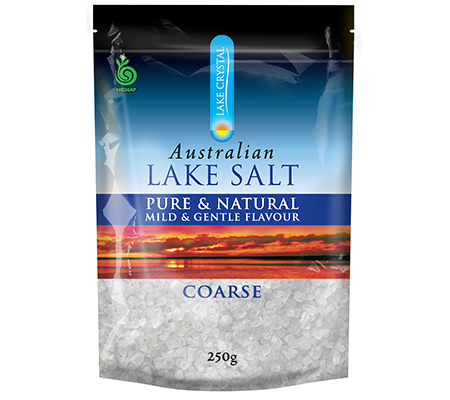 Thus, the natural character and composition of the salt remains undisturbed, ensuring its distinctive flavour is retained. Nothing is added and nothing taken away. The salt is formed and harvested, just as nature intended. Lake Crystal contains several trace elements, such as calcium & magnesium and has a mild and gentle taste.